The crew for the television show Extreme Makeover: Home Edition gathers at the home of the Girard Family in Voluntown Thursday. 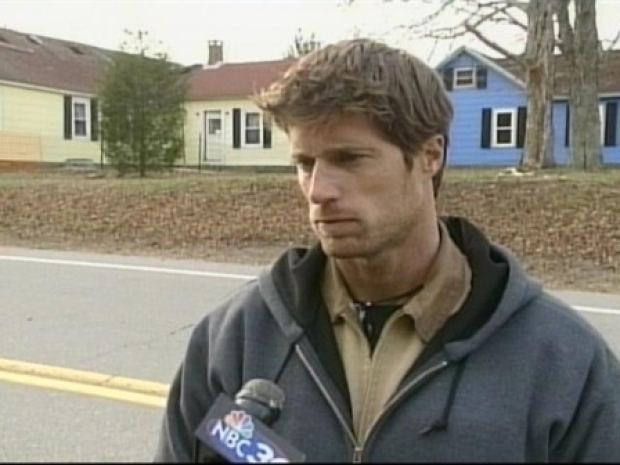 A Voluntown family’s tragic year is getting a little brighter. The Girard family is getting an “Extreme Makeover: Home Edition.” Ty and his group will build there new home on Preston City Road. The family suffered many awful things in the last year. A year ago, the family lost their home in an accidental fire. In June, Thomas Girard and his 18-year-old son Marc drowned during a family swim. Thom and three of his children went for a swim in a local lake. When Thom began having trouble breathing, Marc made sure his two younger siblings were safe before rushing into the lake to help his father. Both died as Marc tried to save his father’s life, leaving Carol and her four children Adam, Jacqueline, Lucas, and Hannah devastated. The Girard family is getting an "Extreme Makeover: Home Editon". The show's crew and designers will build their new home on Preston City Rd. Marc had just graduated from Norwich Free Academy and was planning to study to become a priest. Thom, who was a computer technician, donated his time to fund raise for the elderly and the poor and to repair computers at the children’s elementary school. After the fire, the family members moved into a tent, then into a tiny camper on their property. Eventually, they were forced to move to Carol’s mother’s house, almost 40 miles away from where the children go to school. The children sleep where there is room -- in the living room or in the cellar, due to lack of space. The “Extreme Makeover: Home Edition” designers will build the family a new home with the help of Colchester builder, Home Designs By Bruno, and hundreds of volunteers and workers. As friends and neighbors help build them a new place to love, the Girard family will go on vacation to Walt Disney World.